We are committed to bringing hope to the nations that God is sending to our doorstep by building community through evangelizing, equipping, and empowering. Wayne and Drue Huffman served as missionaries in Europe for almost 25 years and have now returned to the U.S. to work with refugees and immigrants in the Phoenix area. Wayne is the National Representative for Ethnic Ministries Assemblies of God U.S. Missions. They have one child named Adrian (21). 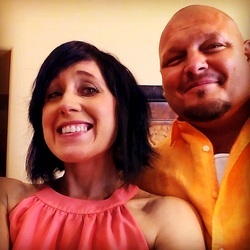 Shawn and Jodi Banzhaf both graduated from Chadron State College in Nebraska and served with Chi Alpha for six years as Co-directors there as well. They have a heart for university students, especially international students. They are hoping to reach Muslims in Tempe - specifically on the Arizona State University Campus. They have been married for over 20 years and have two wonderful children, Zach (20) and Jenna (18). Kurt von der Linden has worked in campus ministry and has served as a missionary in Indonesia for two years. He and his family moved to the Phoenix area for the purpose of working with refugees and immigrants. He teaches at the ESL school, helps with the children's outreaches, and helps the refugees with whatever needs they may have. His is married to his wonderful wife, Lesley, and has one son, Samuel (1). 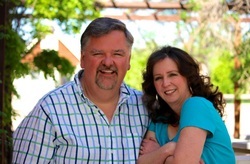 Glen and Peggy Gray are long term missionaries with the Assemblies of God. They served many years in Africa and Europe. Currently, they direct and teach at the ESL School and work heavily with several African congregations in greater Phoenix.